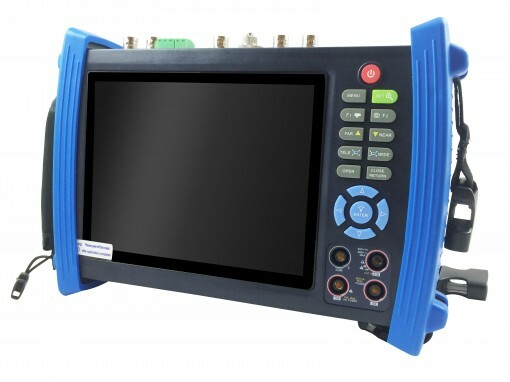 The GS-IP-LCDTST7 is a multifunction IP and Analog camera test monitor. Onvif Device Manager is embedded into this device to communicate and view many types of Onvif conformant cameras. Built in IP camera apps allow direct video streams to view and adjust IP cameras. Composite analog inputs allow for adjusting analog cameras as well. Outputs 12VDC and has a POE injector for easy troubleshooting. Audible tone generator function to identify and troubleshoot coax or UTP cables.